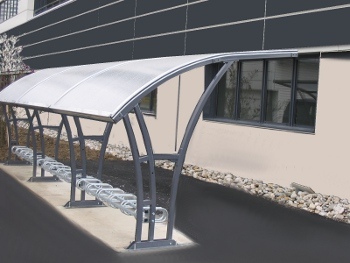 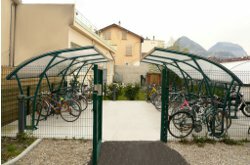 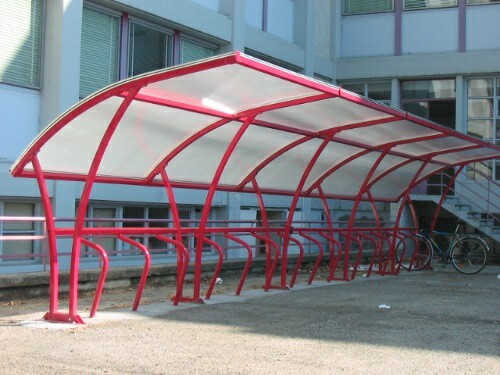 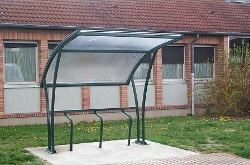 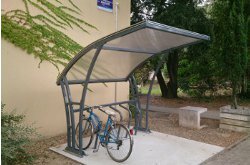 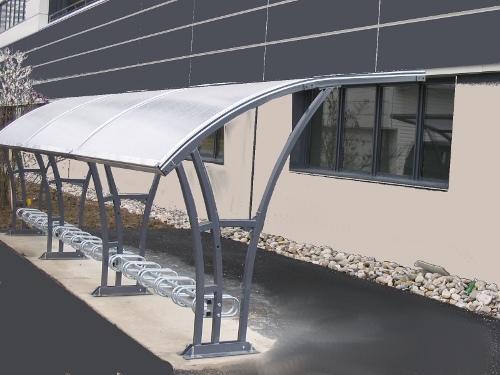 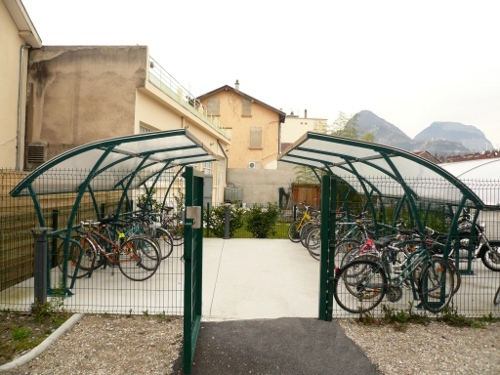 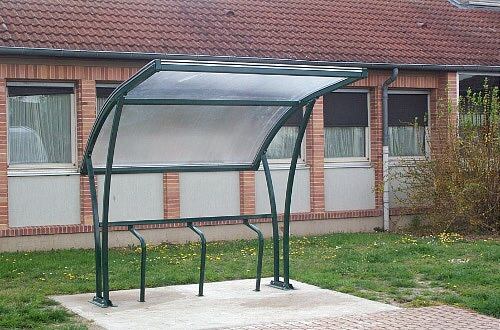 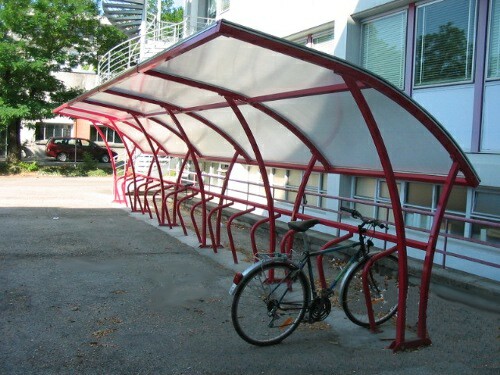 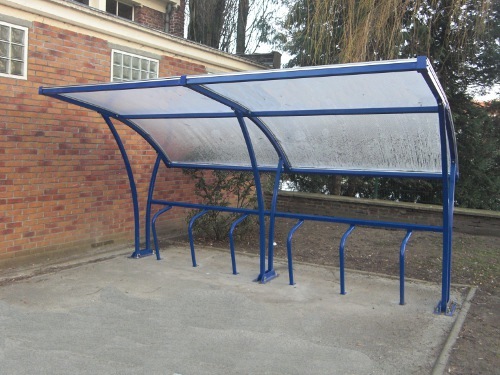 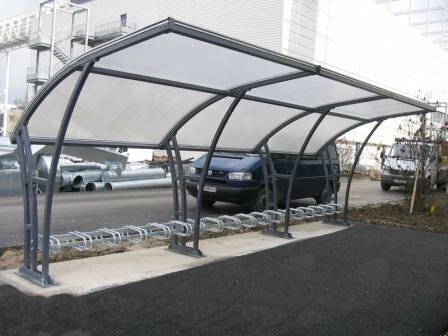 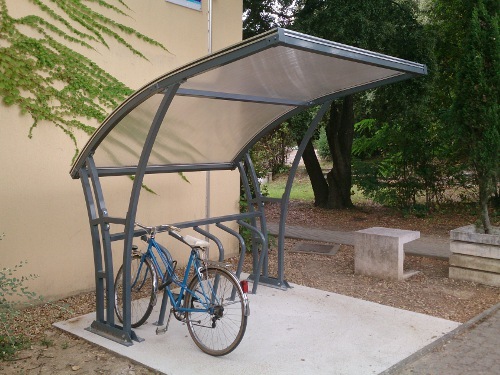 With its pure and functional design, the Colibri shelter protects your two wheel vehicles from bad weather. 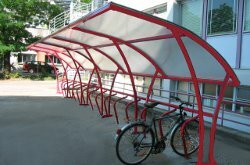 It is made of a steel tubular structure, 50×50 section, 2mm thick curved, cataphoretically treated, and is polyester powder paint coated. 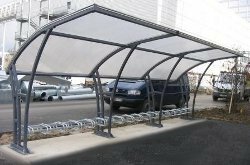 It comprises alveolar polycarbonate panels (10mm thick), is anti-UV treated, and inserted inside the joint secured aluminium structure. Two-wheel storage and lateral side are optional. 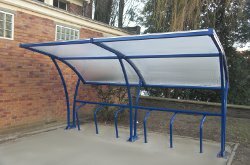 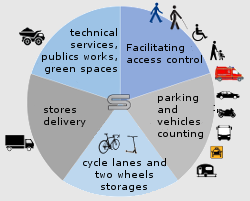 This version, with an adapted structure, meets snowy (level 2) and windy (level 3) weather requirements.